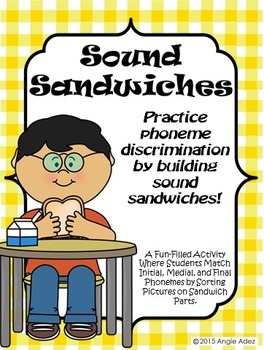 Practice phoneme discrimination by building sound sandwiches! This is a fun way to introduce & reinforce phoneme discrimination. 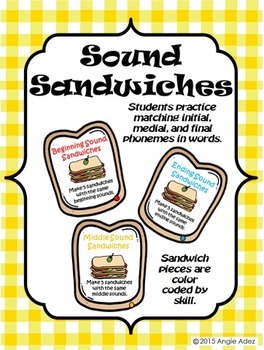 The student builds a sandwich by matching sounds. 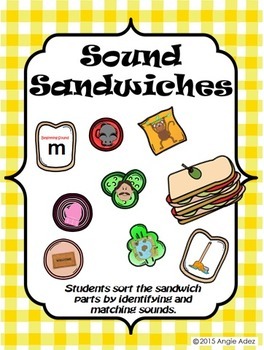 Includes activities to practice beginning, middle and ending sound identification. 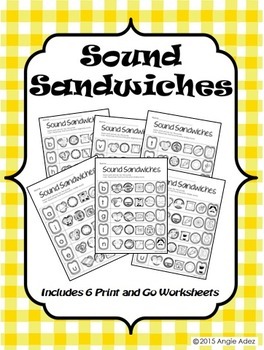 There are also six corresponding “Sound Sandwich” worksheets. These are perfect for independent work or assessment! 46 pages of FUN with words and sounds!